Rich in the gospel and superb in practical application, this touching book is straight up fuel for joy. Here is wisdom that should brighten your every day with sheer enjoyment of God. I absolutely loved this book. It has been a huge blessing, like cool refreshing water for my soul. 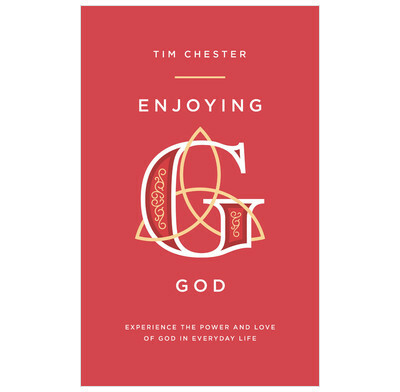 I frequently found myself identifying with the sin, struggles and faulty thinking Tim Chester so vividly describes in various scenarios and illustrations, which also helped me see how my view of our triune God is often so flattened and limited. My heart was softened and warmed as Tim held up all that the Father, Son and Spirit have done, and continue to do, to enable us to truly experience and enjoy an intimate relationship with God and know his daily goodness, grace and love in the messy reality of our daily lives. I finished the book marvelling at our glorious God, feeling humbled, excited, encouraged and spurred on.